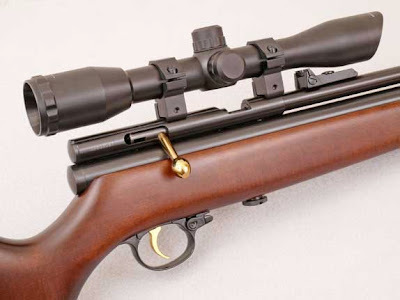 Archer on Airguns: New Leapers scopes are great value. Just added to our store today is an new, low cost scope from Leapers that's ideal for use with air rifles. This 4 x 32 airgun rated scope is supplied complete with airgun rings and - at well under $30.00 - is very well priced. The Leapers SCP432FD model has a fixed objective and, thanks to being parallax-corrected for 35 yards, it gives a sharp image at 10 yards or less. For the price, I'd say this scope can't be beaten! This 4 x 32 scope joins two Leapers zoom scopes that also have 35-yard parallax correction, allowing reduced price, size and weight compared to their "AO" counterparts. There's a strong family look to these scopes, as you can see. Look carefully to see the zoom ring! Below is the 3-9 x 40 scope - Leapers model SCP-394FMD2-C. Medium rings are suitable for this scope at an additional cost. And the 3-9 x 50 looks very similar, too. This one needs Leapers High Profile Rings - again at additional cost - due to the large objective (front) lens. It's Leapers model SCP-395FMD2-A. 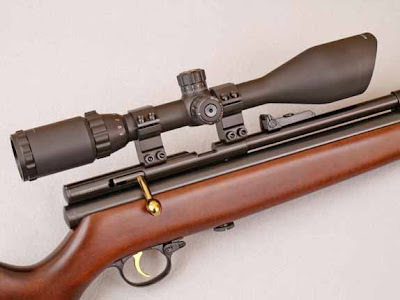 All of these scopes fit QB78 family air rifles very nicely and they're all airgun rated, so are suitable for use on spring-powered air rifles. I'd have to say. For a scope that is under 30$. That is hard to top. Even beating out some cheap low-range scopes. I've gotten frustrated with cheap scopes that require a flathead to adjust the W/E. Any recommendations? Or tips on what I should look in for a scope. There are so many to pick from its hard to sometimes sit down and look at them all. Model : SCP-394AOMDLTS (this is the smaller version. It has a 40mm objective instead of a 50. Hello Shroker,thanks for your comments. Yes, I agree with you, that new sub-$30 Leapers scope looks like a winner! 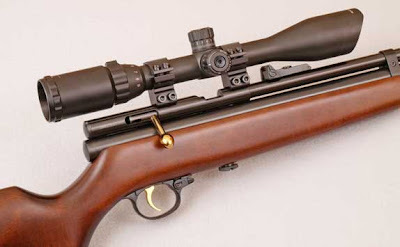 As for what scope to choose, that's a big question with lots of personal preferences involved. My choice typically falls to smaller, lighter scopes as they are easy to use and don't over-balance the gun like a big, heavy scope can. But this does mean that I generally use a lower magnification than many people like. My personal favoutite is the Leapers 6x "Bugbuster" for that reason. But most people seem to prefer bigger objectives and higher magnifications - they're obviously not put off by size and balance issues, like me. One essential, though, is a mil-dot reticle. That's a really useful feature for real-world shooting. Thanks for the reply. The bug buster is a great choice too. Yup! Mil-dot reticles are essential. Like you said, it is a give and take scenario. Having a small, lighter lens has its pro and cons and a bigger objective lens has its pro and cons too. I look forward to future posts : ). I eventually settled with the 50mm version of the scope. However the bug buster is a great scope too for its value. Also needed a full-lengthed scope to use the RIM magazine in which I am waiting for the package to make its way to me from customs. : ). The Leapesr 3-9x50mm is fantastic too by the way. Although a bit big and heavy is quite right. Weighing 666 grams and about 35cm in length.